September 27, 2017. Calais, France. 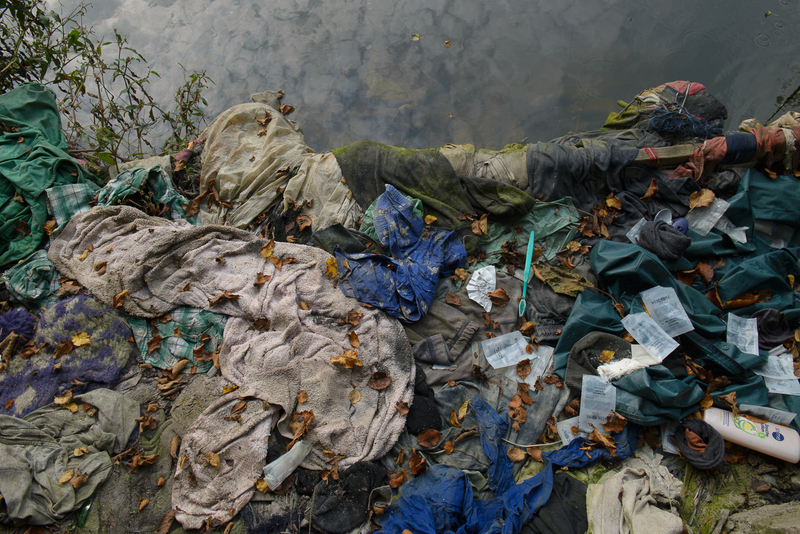 This canal, its shoreline littered with discarded belongings and hygiene products, is representative of the limited access to water faced by migrants living in Calais. 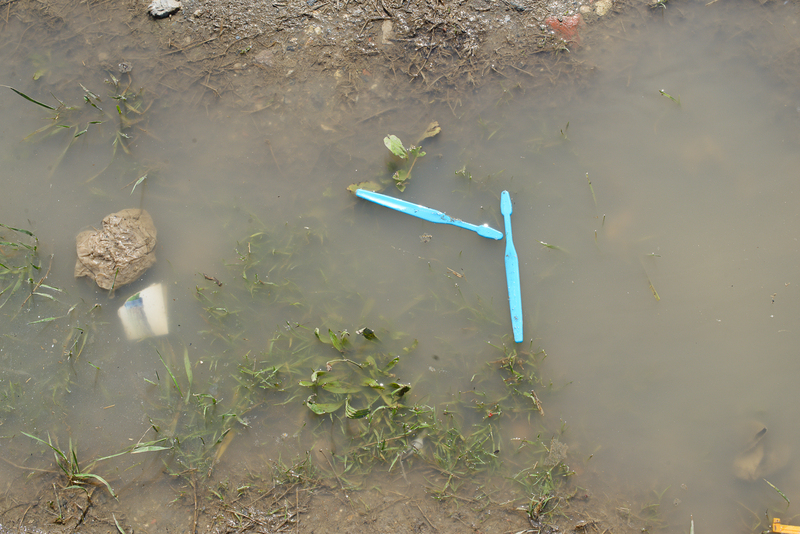 Due to the continued lack of access to showers, toilets and safe potable water, these polluted Water Points often serve as the refugees’ only water source. 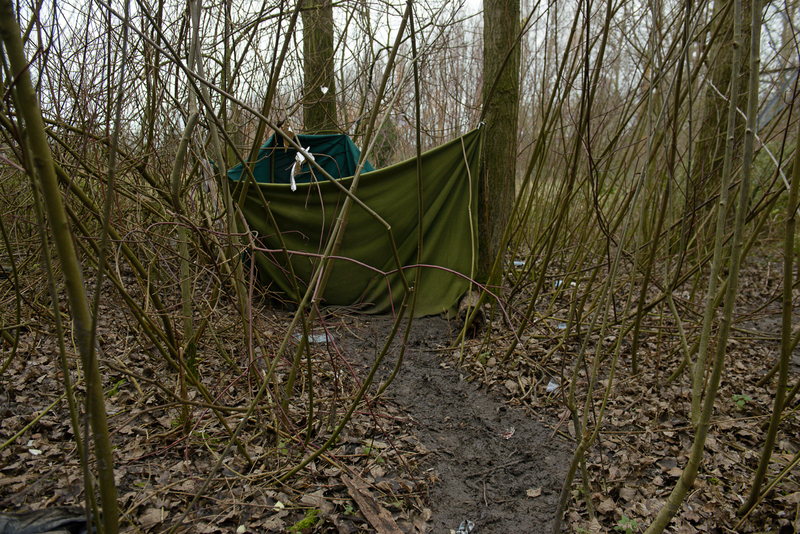 Access to safe water and sanitation is a basic human right that around 1500 homeless migrants in northern France are being denied. Illustrating access to water for transit populations in the north of France, “Point d’eau” - French for water point or no water - denounces the French government’s restriction policies. The project highlights the solidarity and hospitality of citizens in response to the government’s negligence. 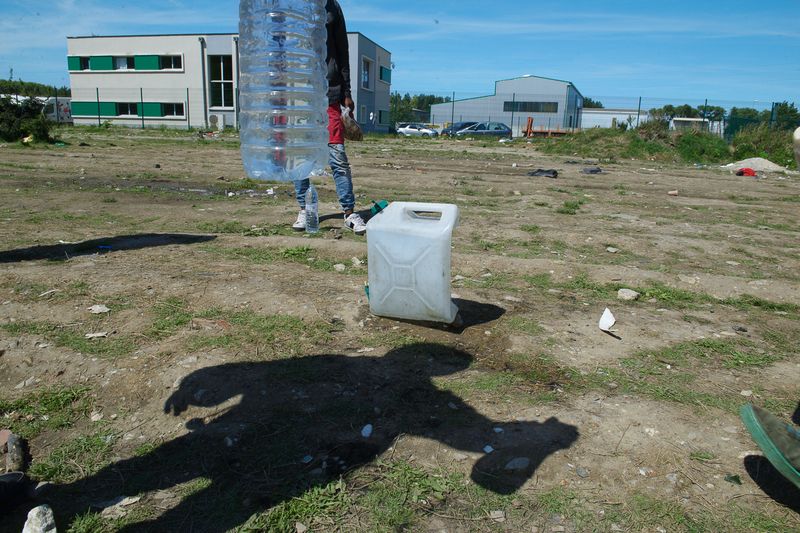 The deprivation of water is used to discourage migrants who, passing through France, wish to reach the United Kingdom. Due to the complex and particular context of the north of France, participants prefer to conceal their identity for personal safety. Respecting participants’ choice and following my personal code of ethics, “Point d’eau” bears witness protecting participants’ identity. August 13, 2017 - Calais, France. Regional Authorities provide clean Water Points in some of the areas where migrants live but only for eight hours a day. "During the night, when you are going to the toilet, there’s no water so you can't wash your hands. 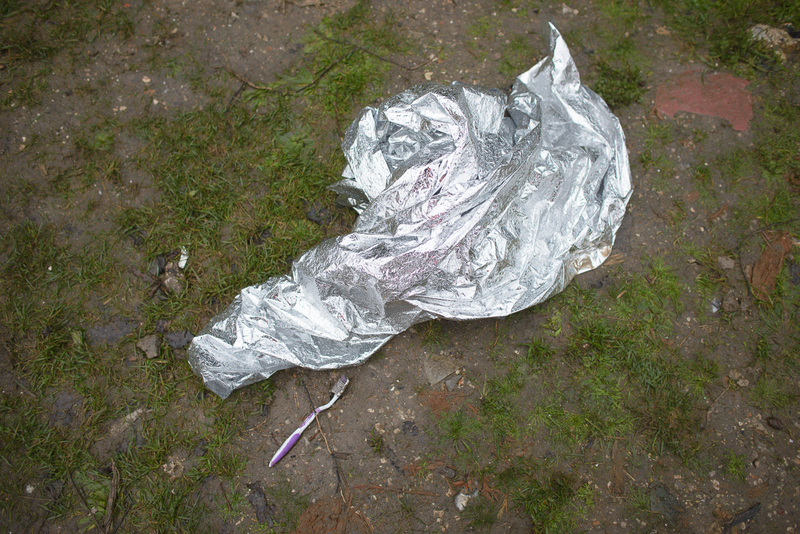 It’s a hygiene problem too", says an Ethiopian refugee. August 11, 2017 - Calais, France. 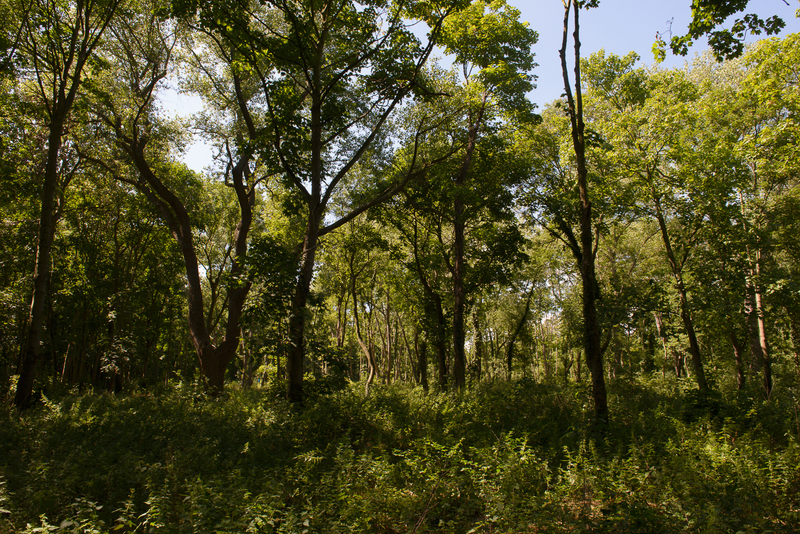 The forest pictured is a location where refugees sleep, cook and defecate. At present there is no settlement as French Authorities have been destroying and tear gassing migrants, migrant's tents and personal belongings (including water bottles) with the aim to prevent the creation of another camp. August 25, 2017 - Calais, France. 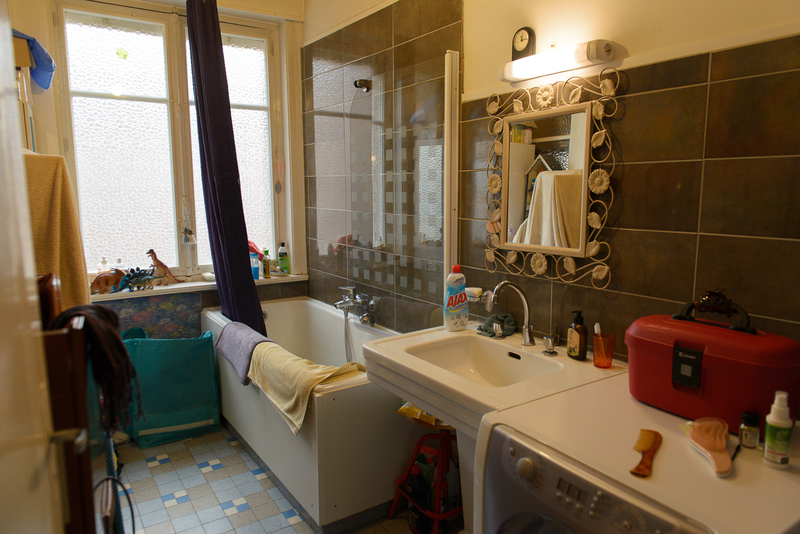 The owner of this bathroom has been hosting migrants for 5 years and provides an average of 42 showers a week. August 28, 2017 - Calais, France. Makeshift laundry. The government has not provided an adequate area where exiled people can properly wash and dry their clothes. Washing of clothes and sleeping bags with clean, hot water is essential for the prevention and cure of skin diseases such as scabies. October 4, 2017 - Calais, France. 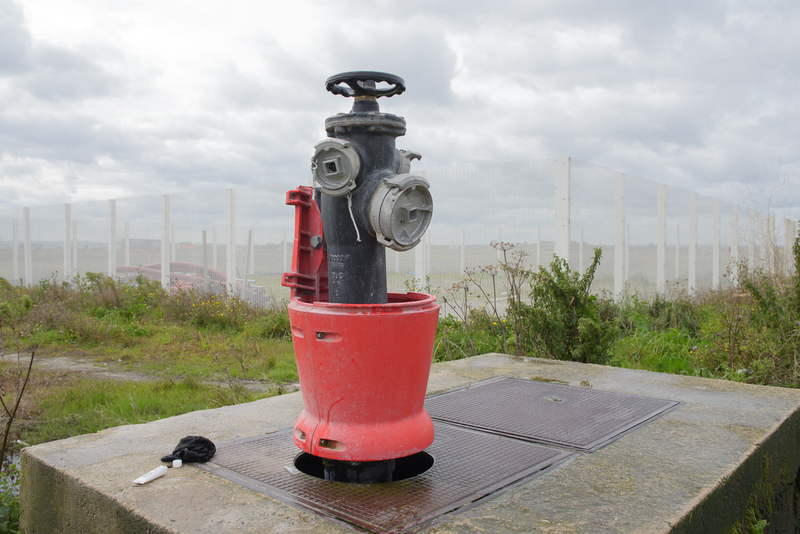 This fire hydrant serves as the sole permanent Water Point for refugees in the area. The morning the photo was taken, the French National Police (CRS), had sprayed tear gas on the fire hydrant in order to contaminate it. January 29, 2018 - Grande-Synthe, France. 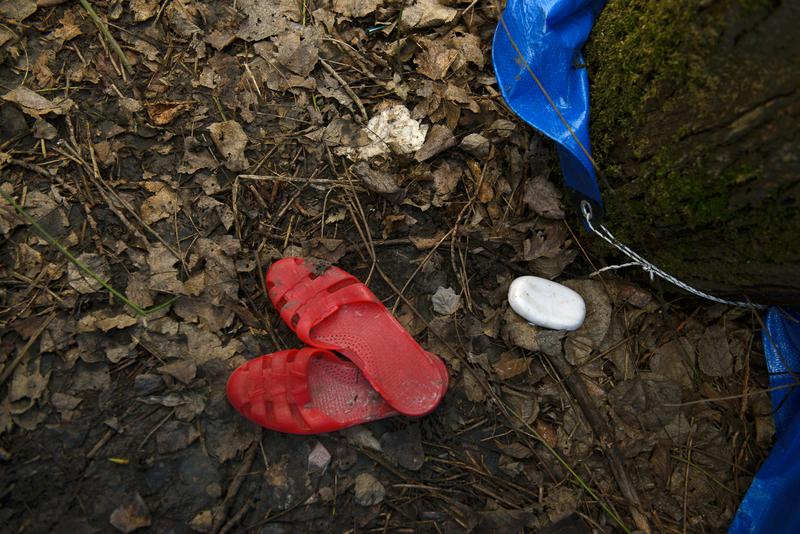 The sandals shown are used by the refugee men when they have water to clean themselves. The 50-150 men living outside in the forest have no access to safe water and sanitation. December 8, 2017 - Multipurpose Hall, undisclosed location, north of France. 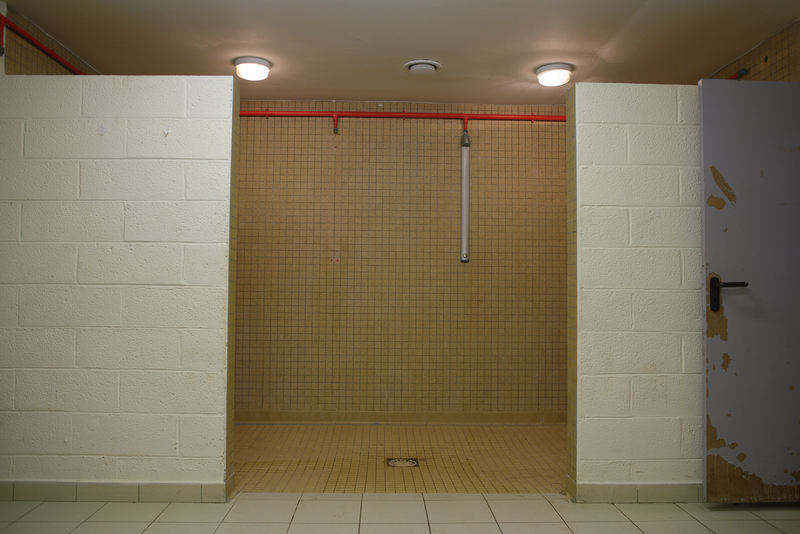 For the past 10 years the mayor of this town in the north of France has opened the shower rooms to exiled people once a week. Apart from some locals occasionally hosting migrants, this is the only access to showers migrants living in this area have. August 19, 2017 - Calais, France. 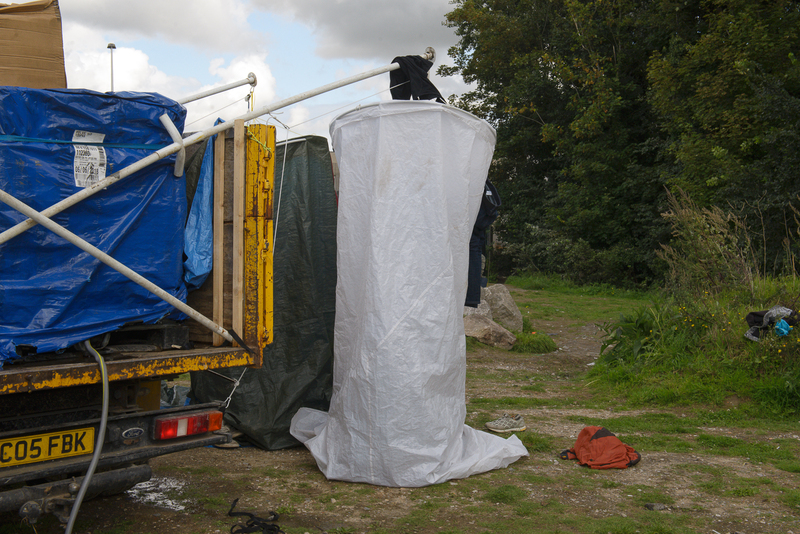 Following a court order of June 26, 2017 obliging the mayor of Calais to provide access to water and other services to exiled people, ten mobile toilets and 20 mobile water points were installed by the regional authorities on August 18, 2017 in one of the larger distribution points. There are a total of permanent 20 mobile toilets for around 1000 people, provided in proximity of two areas where exiled people regroup. August 31, 2017 - Calais, France. 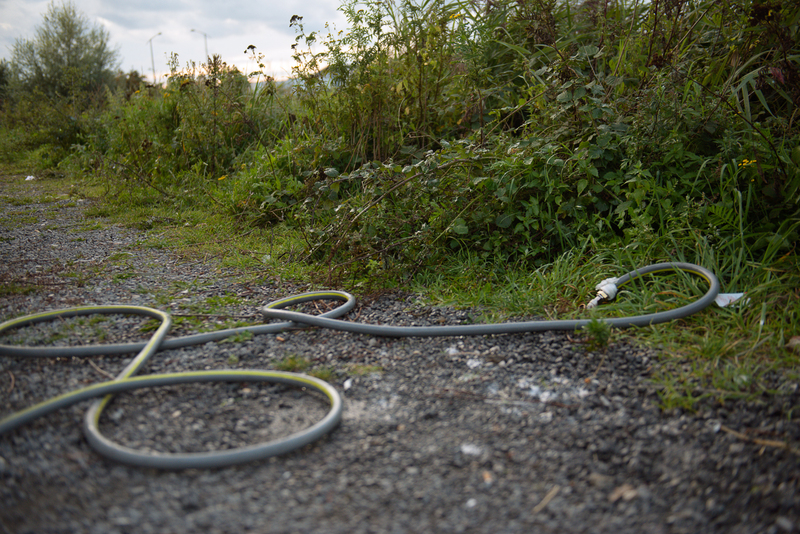 The hose pictured here was the only access to safe water refugees had for most of 2017. The men, mostly Afghans, do not live near any of the water points that have been made accessible by the government-led ngo. August 23, 2017 - Calais, France. The owners of this home have been hosting refugees for more than 4 years. This bathroom provides an average of 49 showers a week. December 4, 2017 - Undisclosed location, North of France. Local volunteers deliver jerry cans of potable water for cooking, usually once a week. Bottled drinking donated by local supermarkets is also delivered when available. December 7, 2017 - Calais, France. Hygiene products, along with survival blankets, are distributed to migrants due to the freezing temperatures during winter. August 31, 2017 - Calais, France. Local NGOs install six makeshift showers on a water truck. 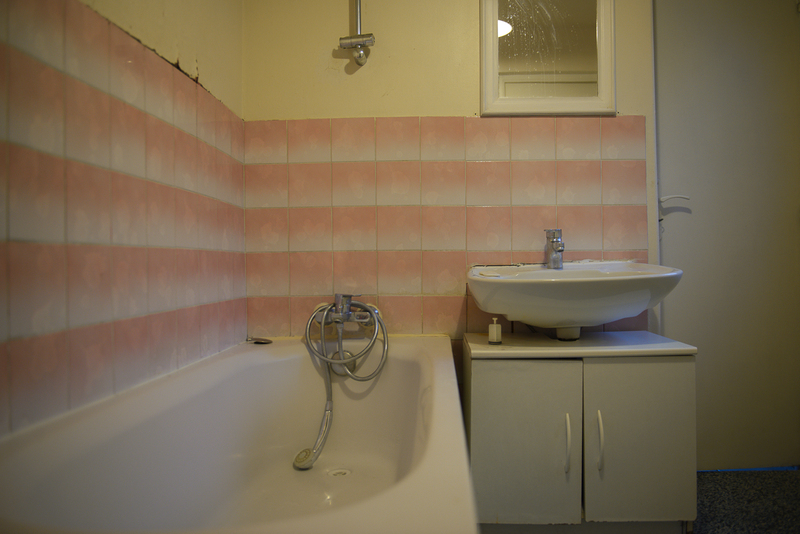 The mayor of Calais, Natacha Bouchard had chosen to pay a fine rather than provide refugees with access to safe water and sanitation. 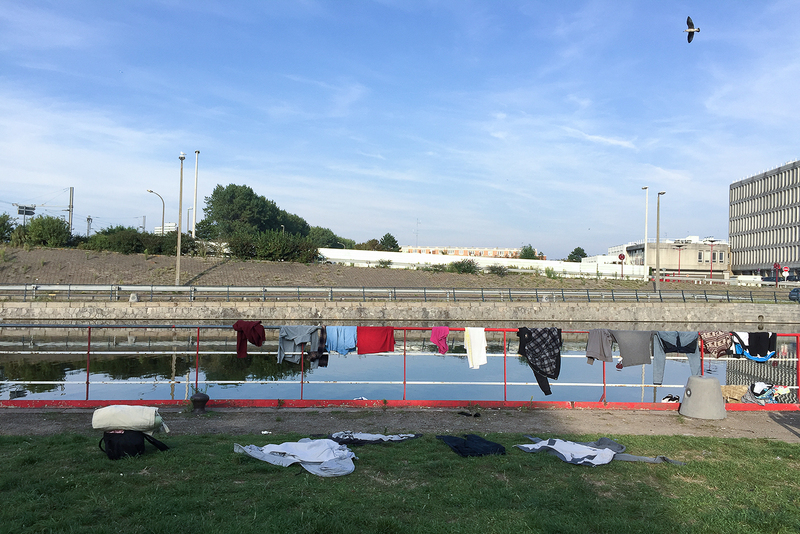 The fine was imposed after the court ruling by the highest administrative court in France that demanded the city of Calais provide certain services to refugees, including access to safe water and sanitation. October 17, 2017 - Calais, France. They owners of this house have been helping migrants since 2013. They provide an average of 70 showers per week. October 4, 2017 - Calais, France. 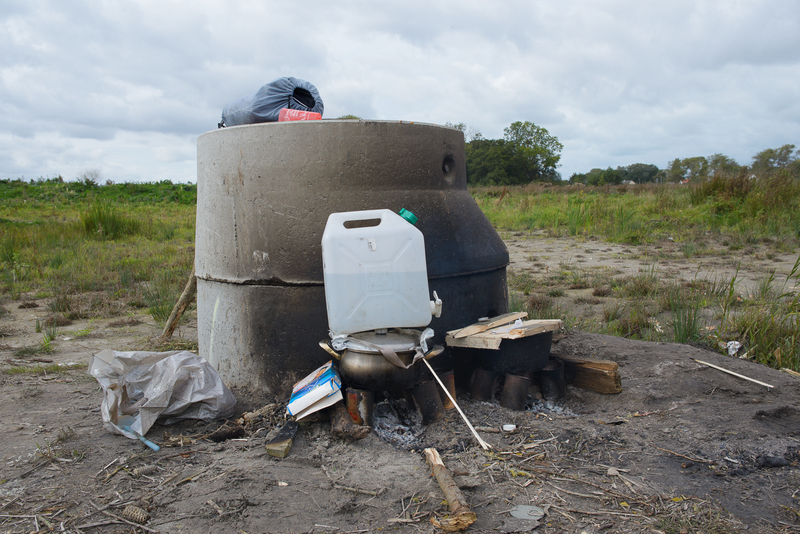 The pot (pictured) contains rice being cooked by Afghan refugees. Cooking has become more complicated for migrants due to the lack of access to water and the continuous tear gassing and destruction of personal belongings by the French National Police (CRS). December 4, 2017 - undisclosed location, North of France. 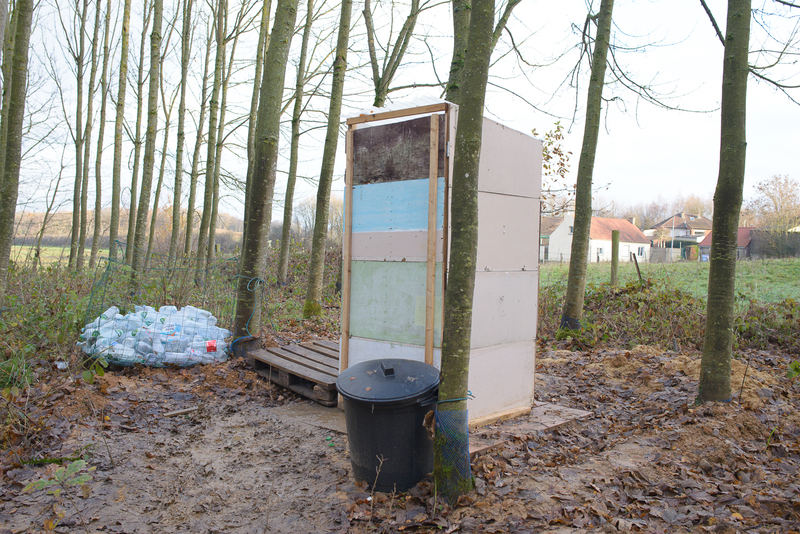 The outdoor toilet was constructed by migrants and volunteers in a forest where they live. January 29, 2018 - Grande-Synthe, France. A make-shift toilet built by the refugee men living near-by. There are about 50-150 people living in the forest in Grande-Synthe during winter with no access to safe water or sanitation. August 11, 2017 - Calais, France. 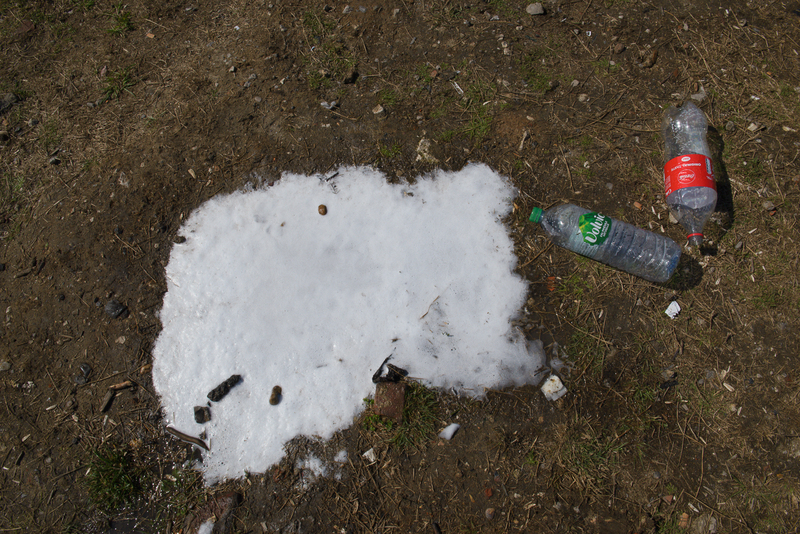 The foam seen on the ground is left after a migrant washed his/her hair outside. 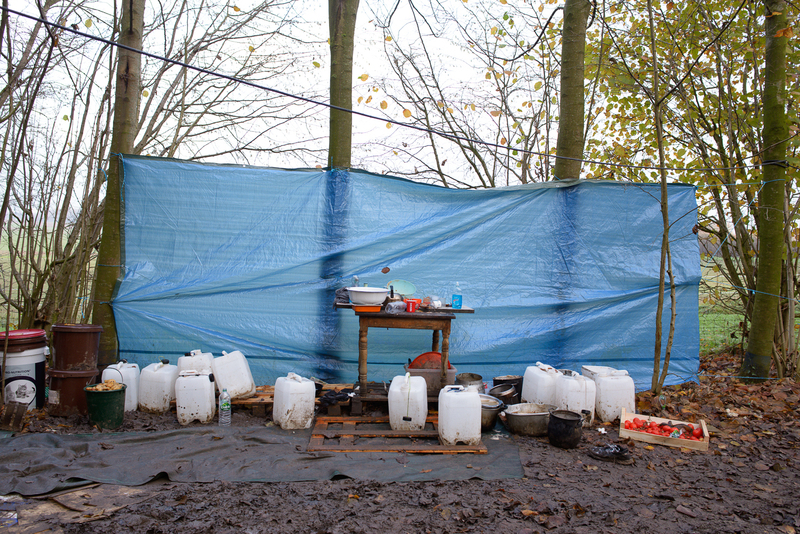 Migrants in the north of France do not have permanent access to safe water and sanitation. By not providing constant access, the government is using access to safe water as a tool to discourage people hoping to reach the UK. November 1, 2017 - Calais, France. 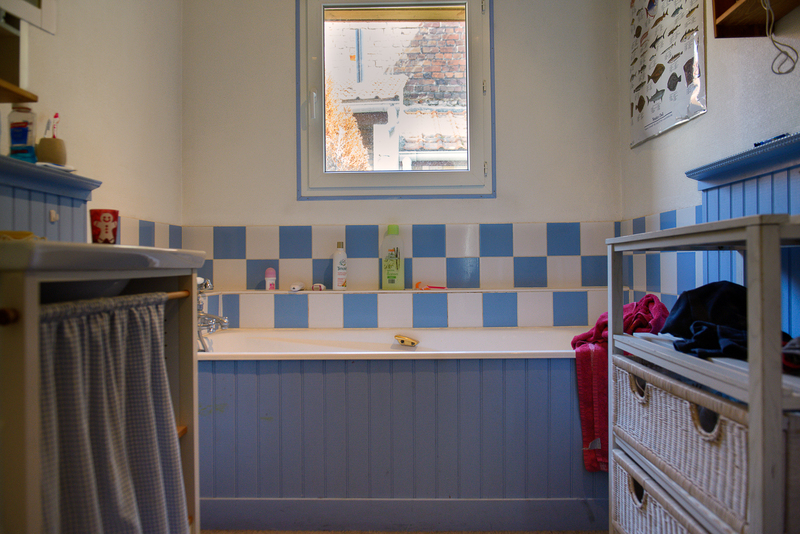 The owner of this bathroom has been hosting refugees for 6 years. 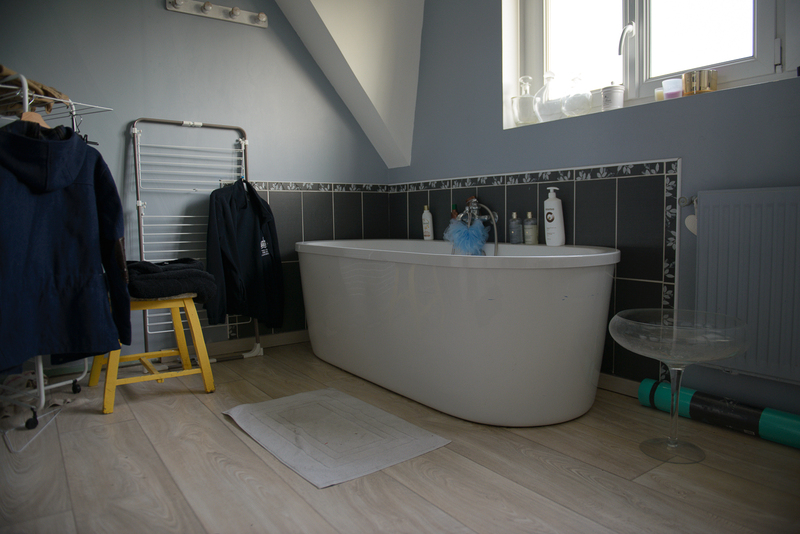 Her bathroom, only opened on week-ends, provided up to 24 showers per week. January 7, 2018 - Grande-Synthe, France. This lake is the only access to water available to the approximately 150 refugees living in the forest. The only safe Water Point was shut off in mid-December by Damien Carême, mayor of Grande-Synthe, the day after he opened an emergency shelter in a local gymnasium. The shelter doesn’t have enough space to accommodate all the refugees. August 19, 2017 - Calais, France. A water truck provided by local NGOs also delivers hygiene products including shampoo, conditioner, body cream, hair oil and toothbrushes.